Rabbi Shishler online: Is this what Moshiach will look like? Friday buzzed non-stop with William and Kate's royal wedding. I didn't join the 2 billion strong TV audience (don't have a TV) or the half-billion streaming-Internet viewers to witness that glamorous spectacle. 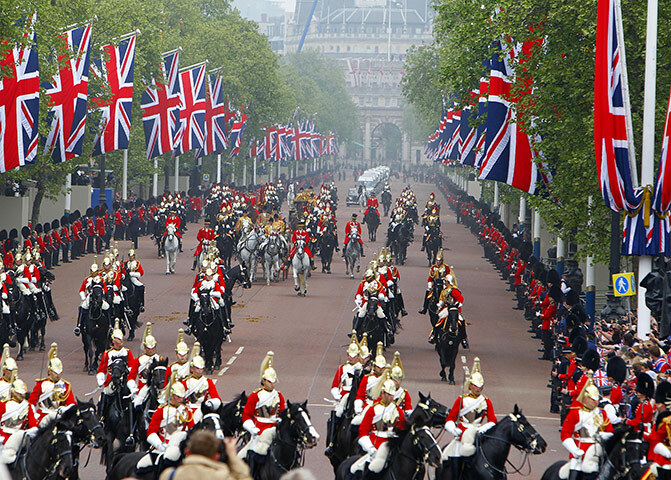 I would have liked to have watched the military bands, Bentley's and Rolls Royces and the RAF fly-past. The actual ceremony held no interest for me. Besides, which rabbi has leisure time on a Friday? Chatting to a member of our community later in the day, I had a twang of regret. He animatedly described the procession, throngs of well-wishers, Union Jack-lined streets and exuberance of the crowds. "They really got excited," he explained, "for the Brits, this is their thing. They love the whole monarchy, pomp and ceremony bit. It's what defines the English. Today was their day; something they would have looked forward to for years." He had a point. Every country has its sense of identity, its national pride and landmark moments that generate wholesale joy among its citizens. What he said next is what got me thinking. "To me, this was a dress-rehearsal for Moshiach," he remarked. "I mean, he will be our king, we'll line the streets and cheer- or dance- as he parades along, flanked by Judaism's great personalities and escorted by the world's military elite (all defunct except for their role as honour guard), his every move flashed around the world for all to see." To be honest, I hadn't thought of the royal wedding hoopla in that light. He certainly had a point. The Talmud says, "Always take the opportunity to see a king, even a gentile king. If you merit, you will get to discern the difference between their kings and ours". According to the commentaries, the Talmud means that you will appreciate the greatness of Moshiach after you have seen the kings of the nations. Thanks to YouTube, I did get to watch the procession highlights. I think I'm all ready for Moshiach now. I thought there was another way that the Royal Wedding could be seen as relevant to Jewish tradition. One of the core ideas which Judaism brought to the world was the sacredness of the relationship of man and woman in marriage. Even though the Royal Wedding was not our tradition; it was a strong statement to the world that marriage remains special and sacred. This is not a trivial thing. Marriage rates in the Western world are in a serious state of decline while the divorce rate booms. And what affects the rest of the world affects the Jews. Seen in this light, the Royal Wedding was a positive and happy event. See the article blow. Excellent point! Remember, Judaism considers every groom and bride a royal couple. We definitely need to reinforce the importance of marriage nowadays.